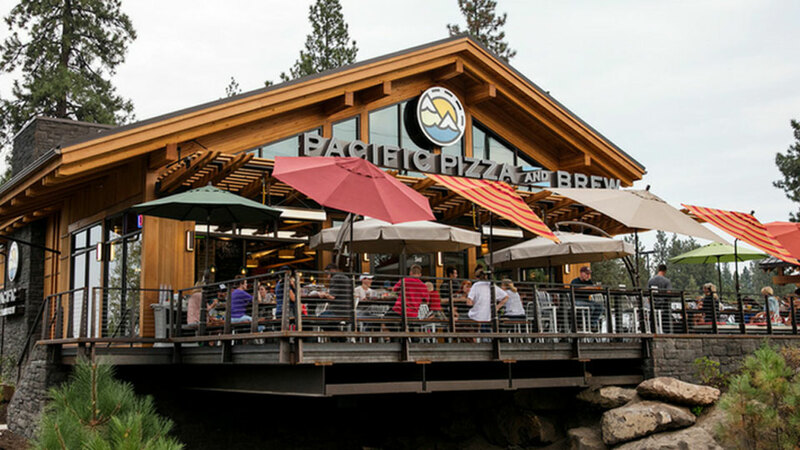 At Pacific Pizza & Brew, their commitment to the community is to provide a “quality dining experience in a laid-back atmosphere, using fresh ingredients and locally sourced products whenever possible” in their pizzas and other dishes. Their from-scratch pizza recipes feature meats, cheeses and fish that are “cold” smoked on the premises. They make their sauces and pizza dough fresh daily and they keep the menu tight and focus on what they excel at… good food for good people at a beautiful location. Their entire menu reflects the Pacific Coast lifestyle and pulls eclectic influences from Alaska to Central America and offers a variety of Pacific flavors. The sandwich list features classic favorites, tried and true and tasty home-made soups, salads, appetizers, calzones and desserts round out the menu. They’ve also got a selection of local beers and ciders on tap, as well as wines and specialty cocktails. Their location right on Century Dr makes them an easy stop after the mountain and their patio is popular in the summer.